Yahoo’s Marissa Mayer has run out of time for a turnaround. After three years, it’s clear that neither the chief executive – nor maybe any potential replacement – can save the flailing internet company. The board’s job should be to determine the best way for tidying up the firm’s affairs. 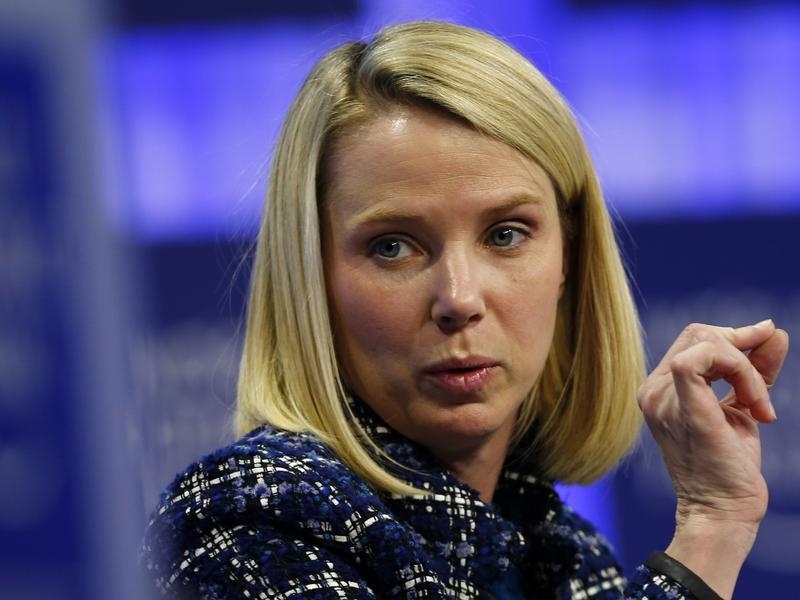 Mayer’s best legacy could turn out to be that she got a good price for Yahoo’s core business. Mayer has tried to drum up excitement by investing and buying smaller firms in mobile, video and social technologies. That hasn’t worked. Yahoo is expected to earn less than half as much as it did in 2012. The future doesn’t look any brighter, as companies cut into its advertising revenue with software that blocks online ads. It’s doubtful that any other executive could do better. After all, Yahoo has had six bosses over the past decade, and none was able to figure out how to turn things around. History shows that struggling tech companies rarely regain momentum. Key engineers flee, new technologies and rivals are ignored and sclerosis sets in. Given that reality, it might be futile for the board to try to replace Mayer. Instructing her to dismember the company might be the best approach – and a way for her to salvage her reputation. Yahoo’s market capitalization is $33 billion. Its stake in Chinese internet firm Alibaba is worth $32 billion alone. Throw in its $9 billion stake in Yahoo Japan and net cash on its books, and the market is valuing the company’s core business at less than zero – even if it has to pay capital gains taxes on its overseas stakes. Considering the core search and internet advertising business should throw off more than $800 million of EBITDA next year, it is probably worth well over $1 billion to private equity firms. Yet the market thinks it has negative value. Fetching almost any price at all could make Mayer into an investor hero. Yahoo’s board starts meeting on Dec. 2 to consider whether the company should sell its core search and display advertising business, proceed with a plan to spin off its Alibaba investment, or both, according to news reports. Activist investor Starboard Value on Nov. 19 asked Yahoo to drop plans to spin off its stake in Alibaba due to tax concerns, and instead urged the company to sell its core operations. The hedge fund had supported the sale of Yahoo’s stake in Alibaba, worth around $32 billion, before the U.S. Internal Revenue Service in September denied a request for an advance ruling on whether the spinoff would be tax-free.